My name is Alexey Shifman and I have decided to open a streetphoto gallery for emerging photographers in Rotterdam“RAW”. Going from an idea towards actual realization of the vision took a long time. Running the gallery is an even bigger challenge. I wrote this blog to share with you all my adventures and problem solving experience. Thinking that the streetphoto gallery should not be separate from the street and stay close to the public I started to look for a place. Solution came by lucky chance. Walking on West-Kruiskade there was an improvised market of Caribbean food and clothes. I took out my camera immediately to make some shots. Looking through the lens I noticed a door leading into an exhibition pop-up store. That was it – the entrance to a place where the street photo gallery could be – almost at the street – “Toko 51”. This space was just like it should – not expensive, not hidden behind white walls and simply raw. Perfect! Negotiating of the rent took one short day. Time had come to think about all the main subjects: how to make a show? Where should I look for photographers? Who is the first to be exhibited? How to invite the audience? How to help for photographers to emerge? How…. how… how…. how to finance all this? I could not do it all alone – was in my head. The solution was to look for people as interested in adventures as me. Not just photographers. People developing graphics, PR, website, social media. And much much more that I did not have time for or had any knowledge about. Team was build up from my three talented and so lovely friends: Ksenija, Tanya and Maxim. German – Israeli – Dutch cooperation. Skype has become our all. Really international – as Rotterdam itself. “Rotterdam – naturally. That should be the subject of the first exhibition! !” Raw streetphoto gallery should open with an exhibition about Rotterdam. 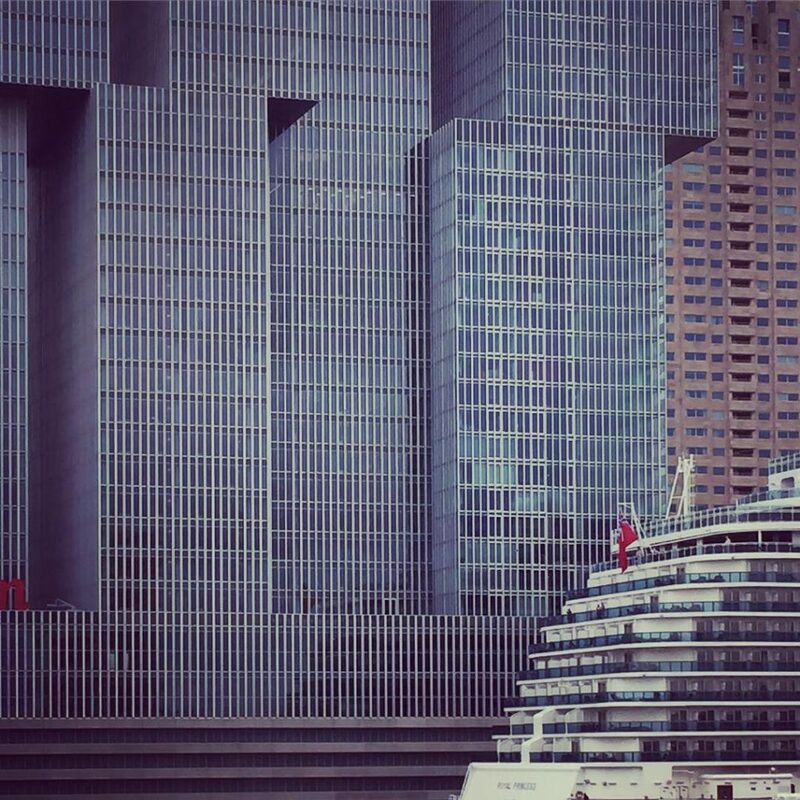 After brainstorming for several days I thought about an excellent photographer of Rotterdam I have seen on Instagram. Actually I was following him for many years already – someone under nickname @RotterdamArt. He has developed a very original technique of making a photo. Simple, clear, almost documental but at the same time with a feeling of just passing by an object. Obviously I wanted this guy to open the show. The problem was if the photographer was willing to take part in my project. Instead of the posting on the web to go live, and speak with the public. To my surprise I received the positive answer very fast. Think you can imagine the level of my excitement. Behind the nickname I had discovered a talented web designer Jasper van Orden. As I have guessed, he had a professional photo education. But decided to change his direction of professional development. Leaving photography as a hobby. After one month of hard work I had it all. I had a team willing to help me. Clear vision of the first exhibition for Raw streetphoto gallery. The gallery space that I was dreaming about. Now the task was just to make it work and open the first exhibition. That will be my third part of this blog: opening the show!